We specialize in painting cars with peelable paint. This liquid wrap does not hurt your factory paint but can actually protect it from the elements while you have our liquid wrap on. You can easily change the color of you vehicle or bike with our paint. No more worrying about the old paint being sanded and gone once the new color has been applied. This process requires no sanding and will not hurt the OEM paint job. There are three levels of dip that we install. Level 1. The first and lowest level is plasti dip. This is our affordable, entry-level option. * Has some texture and feels a bit rubbery. * Available in matte, satin, and semigloss/glossy. * Not fuel and solvent resistant. * Estimated life of 2-3 years with proper care. Level 2.Our second level is DYC Pro-Line. Pro Line is a middle level dip that has a smooth look and feel of the higher end dips without the high cost. * Pro-level liquid wrap formula that levels exceptionally well. * Looks and feels very similar to vinyl wrap, but without the adhesives and seams. * Available in frosted, matte, satin, and semigloss/glossy. * Estimated life of 3-5 years with proper care. Level 3. Our top level dip is from Autoflex Coatings or Halo True Gloss. These dips can have a factory look to them and are very durable. * Highest end, professional-only option. * Has clear-coat that is comparable to an automotive 2k clear-coat. * Is fuel and solvent resistant and is the most scratch and mar resistant option available. * Available in high gloss and satin. * Gloss Topcoat can be cut, buffed, polished and waxed, just like traditional auto paint. * Minor scratches self-heal in heat (sunlight or hot water). * Estimated life of 6+ years with proper care. If you would like to look at samples of pearls we can mix in please visit the following sites. Want to install yourself? 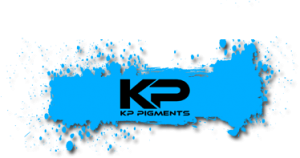 You can purchase the DYC kits HERE and spray your own car or if you do not feel comfortable please give us a call and we would be happy to paint for you. All of our installs (Plasti Dip and Proline) come with a bottle of Dip Coat which is the recommended spray for Plasti dip and proline. We put a coat on before the car leaves the shop but to keep your dip in good condition you should reapply after each wash or about every two weeks. If you live close and need to buy Dip Coat we also carry it on hand so you will not have to wait for it to ship from the warehouse and pay for shipping. Call or email for more information on purchasing Dip Coat from us. 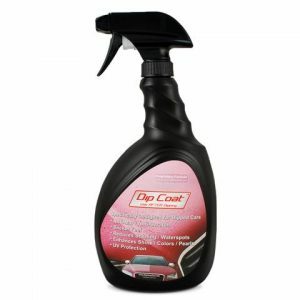 For more info on Dip Coat please click HERE for the link to the product page. 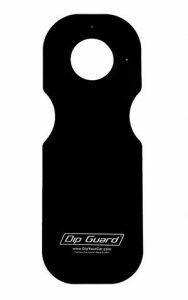 For those of you who choose to have plasti dip or proline we also put on a dip guard gas protector on your gas filler neck to help protect the dip while fueling your car. Have a car that you like the color of but want more protection? We can apply Spray Shield and give you paint a armor coating to protect it from rocks and other road debris. It is a clear bra coating that can be peeled whenever you want to reapply. This coating will not turn yellow like other coatings have in the past from other manufactures. Below are a few videos showing how the DYC Proline peels off.